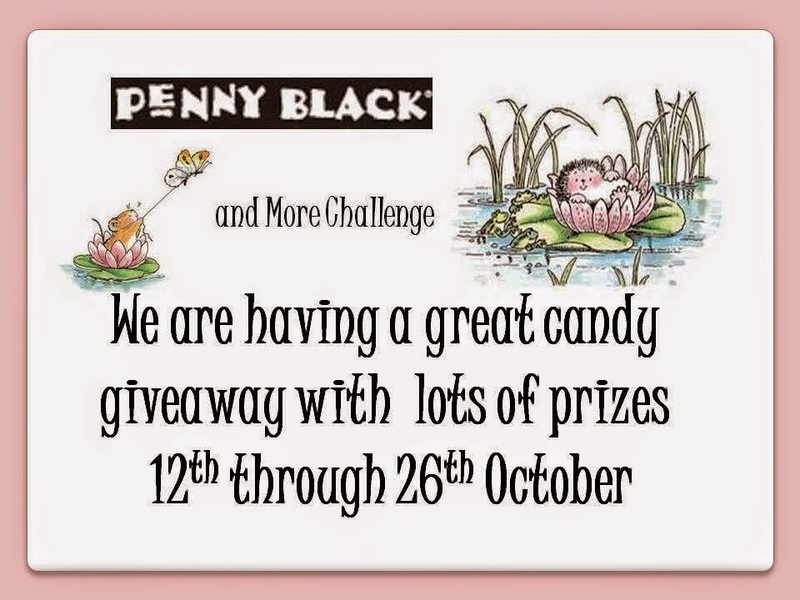 And one lucky person using a Penny Black image will be picked to be Guest Designer for next month, so pop over to Penny Black & More, check out the other amazing inspiration the very talented team have come up with and join in the fun - but please do remember you can use and image you like, except Digi's. Have you guessed from my card today, that i'm Snowman crazy ;-) !! From left to right the Penny Black stamps are : 'Happy And Cool / 4003H / 2009', 'Holly-Jolly / 30-039 transparent set', 'Warm & Cold / 3260H / 2006' and the one in the background is 'Snowy / 1573C / 2000', i made a Bendi / Bendy Card (and if you click on, it will take you to a tutorial), the paper is : LOTV - 'Frosty Christmas', the village scene is : Memory Box - 'Country Landscape', the star is : Memory Box - 'Star Of Wonder', the embossing folder is : Cuttlebug - 'Snow Dots' and everything is covered in Glamour Dust - 'Crystal'. This is a stunner Sam, loving the style and dimension, all so effective. What a wonderful card, love the style and all the cute snowmen. love all the different snowmen and your layout, not started Christmas yet!! This is gorgeous Sam. I love the fabulous shape and and the scene you have created with those cute snowmen. Fab creation, thank you for joining us this week at CRAFT Challenge this week and good luck! Such an amazing card design! And I love all those cute snowmen! Totally awesome!!! Amazing design and I love the cute snowmen. What a stunner! a great card, love it! A gorgeous scenic card Sam. I love the snowman and all the dimension. Sam, adorable card, great design and I love all your snowmen. I never met a snowman I didn't love!! Super fun card. This is so inventive and cool! I love a cute Christmas card, and this definitely hits all the marks! Wonderful fun fold...love the winter theme! Wow Sam stunning card love it! Just gorgeous - love the scene you've created. Fabulous card - love the shape!